I had the pleasure of interviewing Karson Humiston, Founder of the cannabis industry’s leading recruiting resource, Vangst, was featured in Forbes 30 under 30 list for 2018. 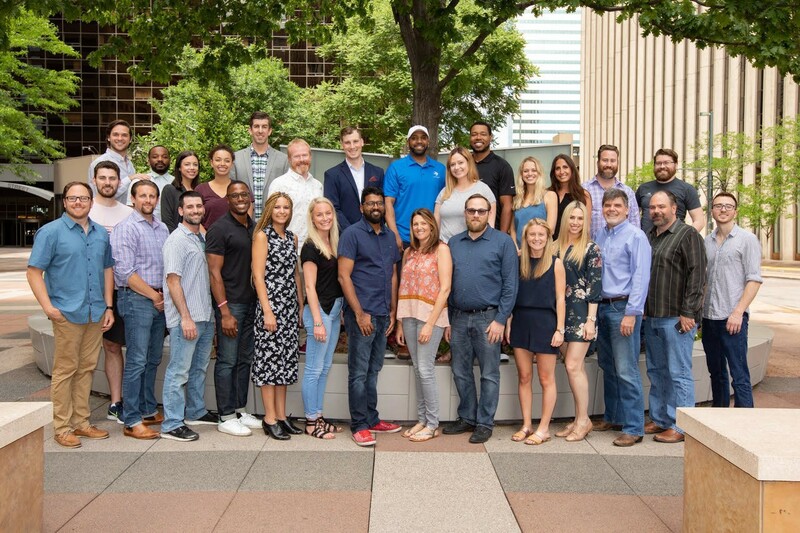 Vangst is headquartered in Denver, CO and hosts 40 internal team members between there and an additional office in Santa Monica, CA. Vangst has successfully connected over 6,000 people with jobs at leading cannabis companies around the US and Canada through direct hire, employees on demand and their job board. Vangst recently closed their first round of outside funding, led by Lerer Hippeau. Thank you for much for doing this with us! What is your “backstory”? How did you first get into this business or get interested in the business? When I was a senior in college I sent an email blast to my network, asking students and recent college graduates which industries they were most interested in starting their careers. To my surprise, the most popular response was the cannabis industry. Curious, I attended a cannabis tradeshow and walked the floor asking exhibitors about their companies as well as the positions their companies were hiring for. I was shocked, companies were hiring every position imaginable: chemists, sales managers, developers, retail store managers, accountants, botanists, writers, etc. I asked the companies how they went about attracting talent and they said there wasn’t a cannabis industry specific recruiting agency or job board and that mainstream recruiting agencies and job boards wouldn’t work with cannabis companies. Because of this, cannabis companies were limited to their personal networks to attract talent. Boom — the idea was born. I went to FedEx and had business cards made, the business was called “Gradujuana” — green jobs for grads. I went back to the tradeshow the next day and let companies know I was with Gradujuana, a cannabis industry specific recruiting company focused on connecting young professionals with careers in the emerging cannabis industry. I rushed back to St. Lawrence University, made an inexpensive website, spent my final weeks of college busy cold calling cannabis companies and lining up meetings for when I planned to arrive in Denver, CO (exactly 9 days after graduation). My first client was O.penVape, who hired Gradujuana to find them an entry level accountant. O.penVape introduced me to my second client, Canna Advisors, who hired Gradujuana to find them a technical writer, construction project manager and executive assistant. I was able to use the revenue I was generating to begin hiring recruiters with experience from well-known recruiting agencies. As time went on, clients began engaging us for high level roles, such as CTOs, Sales Directors, Senior Engineers and lots more; we realized we would need to rebrand and that we had out grown the name Gradujuana. We rebranded to Vangst, which means “catch” in Dutch. In addition to our direct hire placements, we launched a job board which now has over 30,000 active candidates and 400 companies. We also launched an on demand work force, where companies can engage talent on an as needed basis and talent can work hours that fit their schedule. In March, we closed our first round of outside funding, a $3M seed round, lead by Lerer Hippeau. Funny failure story I have is when Gradujuana (now Vangst) was still a one women show and I attempted to organize the first ever “cannabis job tour” for college students. I partnered with Colorado dispensaries, cultivation facilities and labs; created an itinerary where students from around the country would visit Colorado and tour legal, compliant cannabis companies and learn about the various jobs in the space. The trip also included speakers, Q+A’s with industry leaders, networking events, and a career fair to end. I decided the best way to sell the trip was to drive from Colorado to California and stop at 45 Universities along the way. I created marketing material and my plan was to arrive at the Universities and set a table up in the student centers hand out brochures to students as they walked by (prior to founding Gradujuana, I founded On Track Adventures, a student travel company, and we used this approach to sell our student travel trips). I arrived at my first stop in Nevada, I won’t mention the name, set up my table and began handing material out to the students. Within an hour, ten or fifteen professors and other facility members (including the dean of students) were at my table and told me I needed to leave immediately or they would have me arrested and that they would not tolerate “drug dealers on campus.” I tried to explain that I wasn’t a drug dealer and was a recruiter trying to help their students land jobs in a rapidly emerging industry. Not wanting to be arrested, I quickly packed up and headed to the next University and the same thing happened! Of the 45 schools, I was kicked out of 38 of them! This made it very challenging for me to advertise the trip and sell tickets to students. Ultimately, I didn’t sell enough tickets and I had to cancel the trip and refund the students who signed up (the schools who allowed me to stay all had students sign up). I ended up wasting over three months and thousands of dollars on the tour and it completely failed. Funny story now but at the time I was so discouraged and couldn’t believe the tour didn’t work. I still think the tour is a great idea and something that would be very beneficial to students, so we will definitely try again someday! a. Every state in the cannabis industry operates under different rules, including employment. Vangst remains hyper focused on ensuring we’re compliant and all of our technology is built to comply with each State’s cannabis employment rules. b. For example, in Colorado in order to work in the cannabis industry you have to an MED badge. In order to be part of our On Demand Team, on top of our typically vetting process, we ensure everyone on our platform has an up to date MED badge — this way employers know they’re engaging talent that is fully compliant in the Colorado cannabis industry. a. We have recruiters who focus on every vertical in the industry and are not only industry experts, but experts in that particular vertical. b. For example, we have recruiters who only focus on cannabis cultivation recruiting. For business owners who do not understand cannabis cultivation, it’s critical they hire a professional cannabis cultivator to run their facility. The problem is that since they don’t know anything about cannabis cultivation, they have no idea what questions to ask in an interview. Vangst does. You would be very surprised by the number of candidates who claim to be cannabis cultivators and in reality, they have a few plants growing in their basement, much different than a true Cultivator with a degree in a related field such as botany, experience scaling a large scale commercial cultivation facilities, understanding of state compliance, etc. a. We go to exceptional measures to attract talent from not only the cannabis industry, but all different industries. We have the largest database in the country of active candidates who are either currently or who have expressed interest working in the cannabis industry. Because of this, when clients need positions filled, we have a huge pool of highly qualified candidates to select from and can quickly connect our clients with talent. None of us are able to achieve success without some help along the way. Is there a particular person who you are grateful towards who helped you get to where you are? Can you share a story? I am very grateful for my dad. I grew up in a very entrepreneurial environment, my dad has always owned and run his own companies. I was always encouraged to take risks and pursue opportunities I found exciting. Everyone told me I was crazy to go into the cannabis industry, except my dad, who thought it was a great idea (he is actually involved in a few cannabis companies now as well) and regardless of what happened, starting the company would be an “unbelievable learning experience”. Always! Our On-Demand program is rapidly expanding and we are working on few new products which will streamline the process of reserving on-demand labor. I know our clients and candidates will love it. Can you share 3 things that most excite you about the cannabis industry? Can you share three things that concern you? 1.) Employment growth! The industry currently employs over 160,000 people and this number is expected to triple by 2020. Vangst will continue to play a huge role in connecting talent into the space. 2.) State program growth! Currently 29 States with some form of legalization and dozens of programs are on the ballot in additional states. 3.) Medical benefits. Millions of people now rely on cannabis as a form of medicine and have seen drastic health improvements. I’m excited to see more people have access. 1.) Federally illegal. I would sleep better at night if Vangst wasn’t part of a federally illegal industry. 2.) Uncertainty and constant change. There is no clear path or timeline to federal legalization (or if it will ever happen). 3.) Banking. Due to the industry being federally illegal, many of our clients do not have access to banking, creating a cash dominate industry. This is a huge public safety concern. Can you share your top “5 things you need to know in order to succeed in the cannabis industry”? Please share a story or example for each. 1.) This industry is fast paced, do not join if you’re looking for a 9:00–5:00, cushy job. Around the clock work that can be exciting yet demanding. 2.) Be ready to wear lots of different hats. The majority of companies in the cannabis industry are startups and everyone wears many hats. Being part of a start-up is so exciting. Growing with a company is one of the best experiences you can give yourself. With that, and time, comes a lot of responsibility and being well rounded. 3.) Compliance is key! All eyes are on cannabis companies and it is important to be hyper focused on complying with your state’s rules. If you are not compliant, you cannot work. Simple as that. In our experience when people are passionate about what they do they are more successful. Where does your cannabis passion come from? That is a very true statement, and we love placing talent in jobs they love and become successful in! I am passionate about growing a company, the cannabis industry is the perfect industry to grow a company in right now. Additionally, I genuinely believe cannabis should be federally legal for both medical and economic reasons. Where do you see your business going in the next 5 years? Where do you see the cannabis industry going in the next 5 years? I believe the cannabis industry will be federally legal within the next five years and Vangst will continue to be the go to resource for thousands of companies looking to hire top talent. Are you able to identify rising stars at your company or in your industry that people need to keep an eye on? One star in the cannabis industry that everyone should keep an eye on (if they aren’t already) is Ryan Smith of Leaflink. Leaflink is the industry’s leading B2B platform; Leaflink has over 2,000 dispensaries and 500 brands on their platform. What growth sectors should most people be paying attention to that they might not be currently? 1.) Compliance. Especially for companies operating in multiple states, compliance is critical to success and there are not a ton of resources for companies to remain compliant across various states. Some of the biggest names in Business, VC funding, Sports, and entertainment read this column. Is there a person in the world, or in the US whom you would love to have a private breakfast or lunch with and why? He or she might see this. Sara Blakely. Love her story and think it is amazing she went from selling printers door to door to running Spanx. Very inspiring story that demonstrates hard work often beats experience. Terry has an eclectic background in the media space as a writer and performer. Originally an east coaster now living out west, Terry is passionate about wellness, meditation, mindfulness, and the environment.